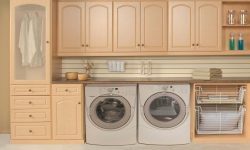 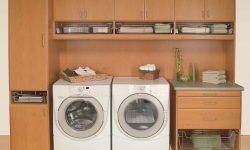 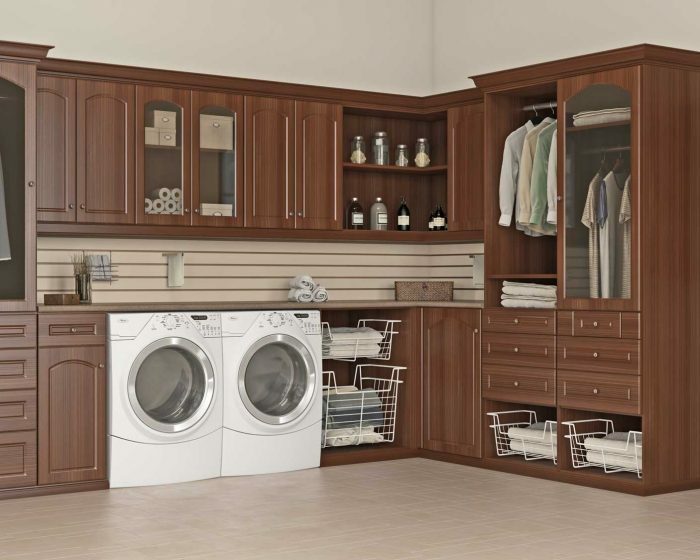 Laundry rooms are essential to any home, but their organizational needs can often get overlooked. 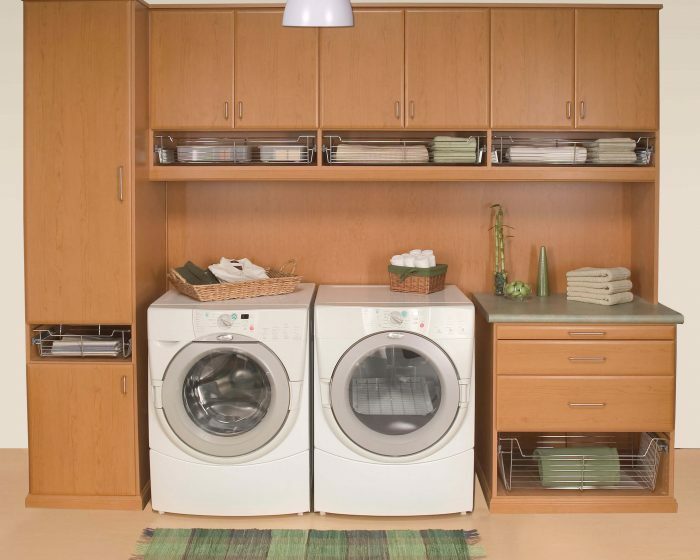 Create a clean and tranquil space to make doing laundry easy and efficient. 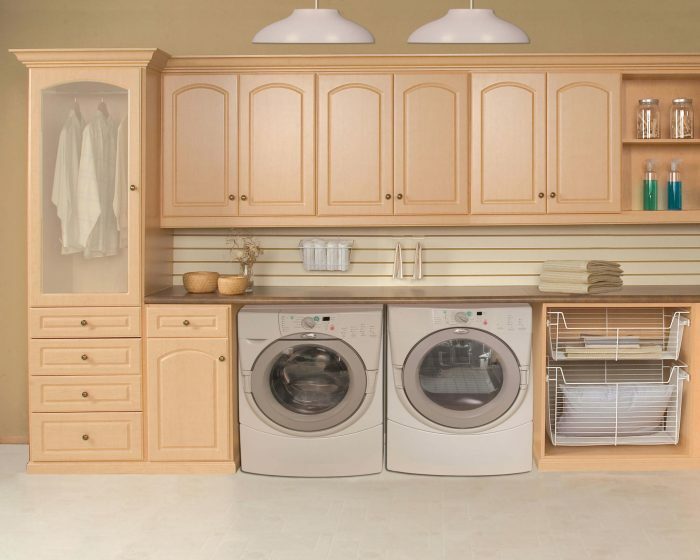 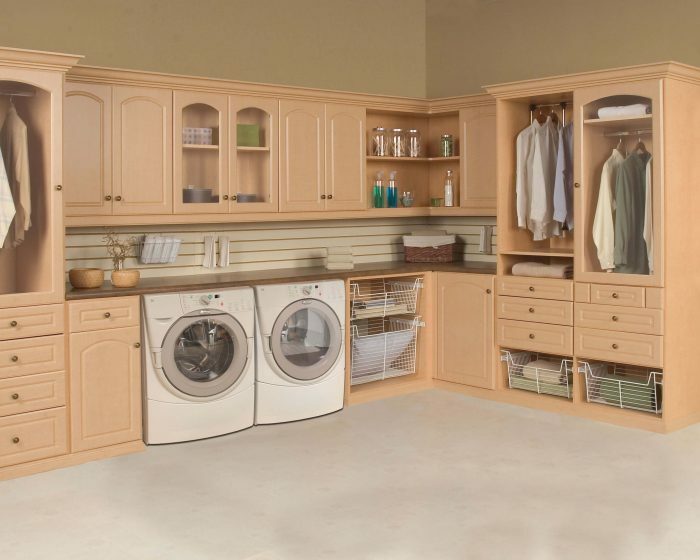 Our custom laundry room storage solutions provide shelving and cabinets for all your laundry items, hampers to sort dirty clothes, easy to access wall mounted ironing boards, and ample countertop space for efficient folding. 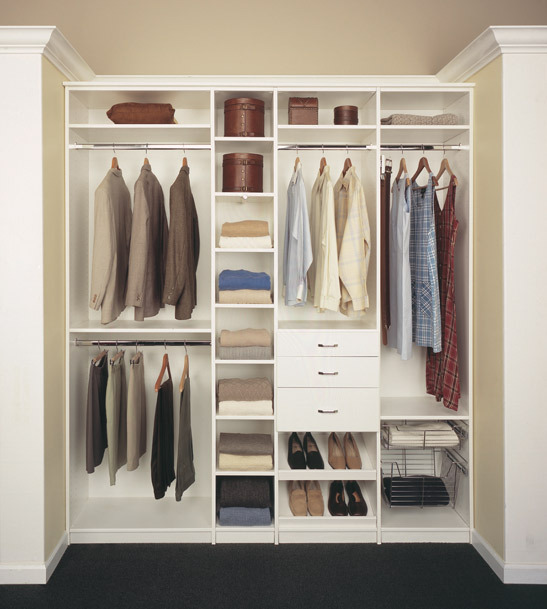 to choose to make your unique to your needs and style.